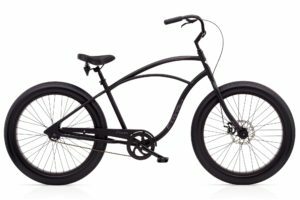 We now carry the Electra Cruiser Lux Fat bikes in single speed and 7 speed! 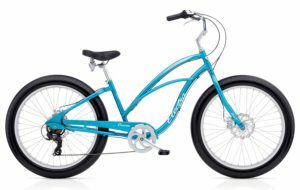 These fat tire cruisers are all aluminum and feature Electra’s pedal forward flat foot technology for ultimate comfort! Single speed versions feature coaster brake with a front mechanical disc brake. 7 speed versions feature front and rear mechanical disc brakes. Single speed available for $599.99! 7 speed available for $659.99!